Want the intel on New York City's most talked-about local hotspots? We took a data-driven look at the question, using Yelp to analyze which eateries have been getting a significant increase in attention this month by comparing each restaurant's increase to the median increase in its category. Three of our top trending spots are slightly different styles of Japanese food: an udon joint, a Japanese-Korean hybrid, and a yakitori-focused bar. Read on to see which establishments are closing the summer out strong -- or the opposite. Open since June, the pop-up cocktail bar Gitano NYC, which bills its experience as similar to being transported to Mexican beach resort Tulum, is trending on Yelp compared to other Mexican places. The lush greenery of the potted palms in the 450-seat spot has appeared in the posts of Instagram influencers and on tabloid pages following the activities of celebrities and socialites. 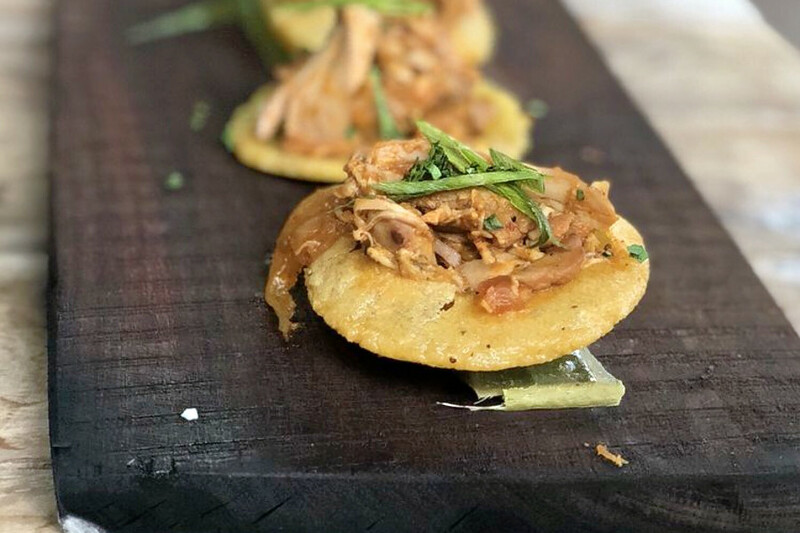 Gitano saw an 80.4 percent increase in reviews in the same time frame as the median Mexican eatery increased by only 3 percent. 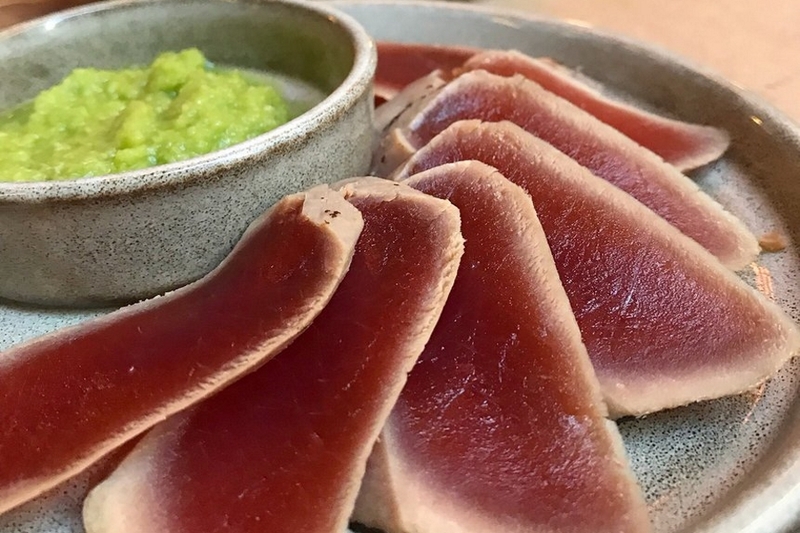 If this comes as a disappointment, know that Gitano is not the only trending outlier in Mexican food: Greenpoint's Oxomoco has seen a 42.4 percent increase in reviews over the past month, maintaining a solid 4.5-star rating throughout. However, if you want to experience the 24,000-square-foot Gitano before it leaves at summer's end, you can find it at 76 Varick St. in SoHo. Specialty dishes include charred avocado filled with ponzu and slivered almonds; the signature cocktail list features a Jungle Fever with mezcal, chile, lime, and cilantro. Jackson Heights's The Queensboro is also making waves. Open since May at 80-02 Northern Blvd., the New American gastropub has seen a 57.1 percent bump in reviews over the last month, compared to a median review increase of 3.1 percent for all businesses tagged "Gastropubs" on Yelp. 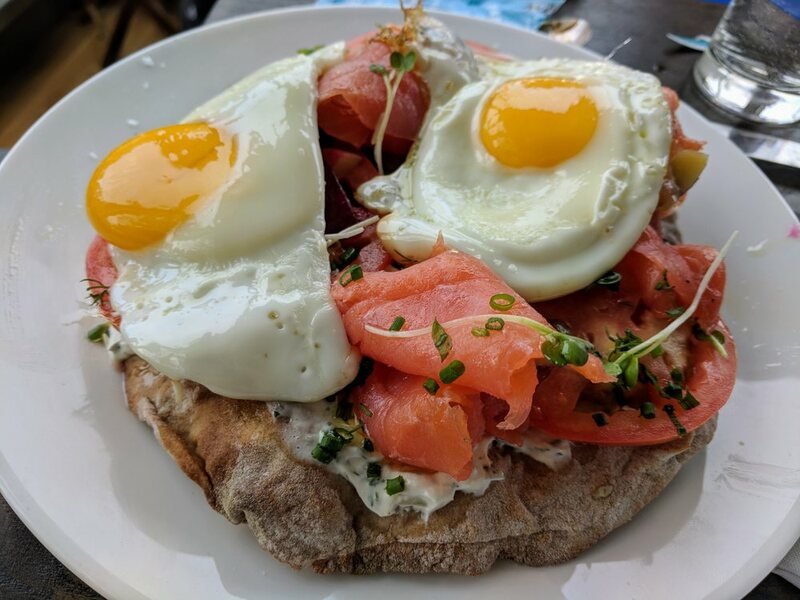 The Queensboro offers small plates like the garlic clam bread, pizzas, pastas, and large plates like steak with roasted radishes and anchovy butter. It also serves brunch on weekends. Over the past month, it's maintained a strong 4.5-star rating among Yelpers. Noho's The Bari is the city's buzziest sushi bar by the numbers. 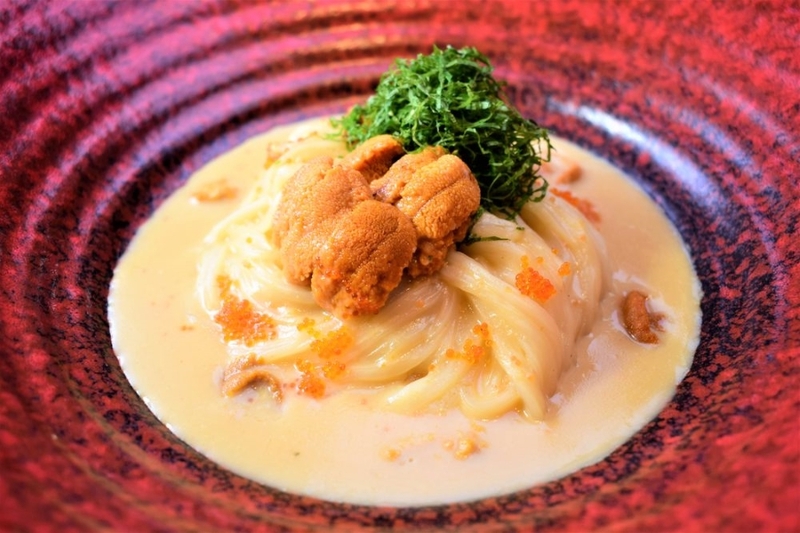 In addition to classic nigiri choices and an omakase selection, the Japanese-Korean hybrid serves dishes like uni risotto with black tobiko and white truffle oil, and shiitake bibimbap with quinoa puffs and nori rice. 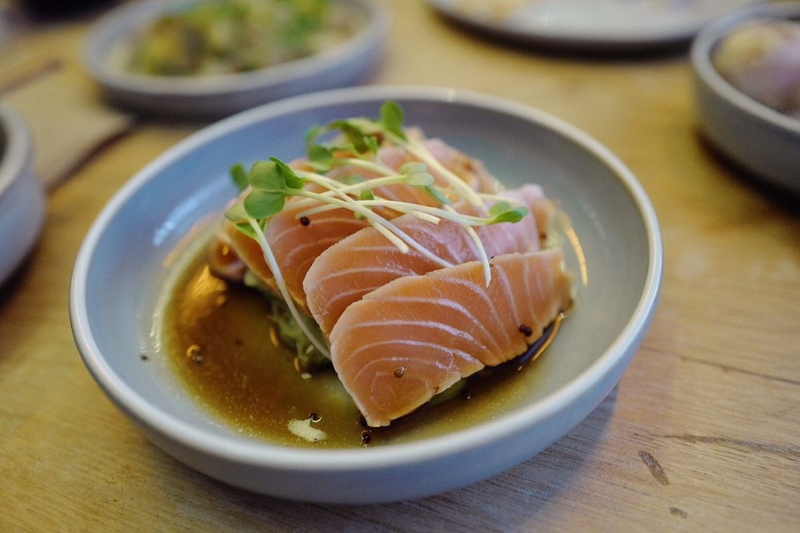 The project of Danny Hahn and Mason Rhee, which opened at 417 Lafayette St. (between 4th St. and Astor Place) in May, increased its review count by 51.5 percent over the past month -- an outlier when compared to the median review increase of 3.3 percent for the Yelp category "Sushi Bars." Over in Midtown, yakitori and sushi spot Nonono is currently on the upswing in the Japanese category on Yelp. 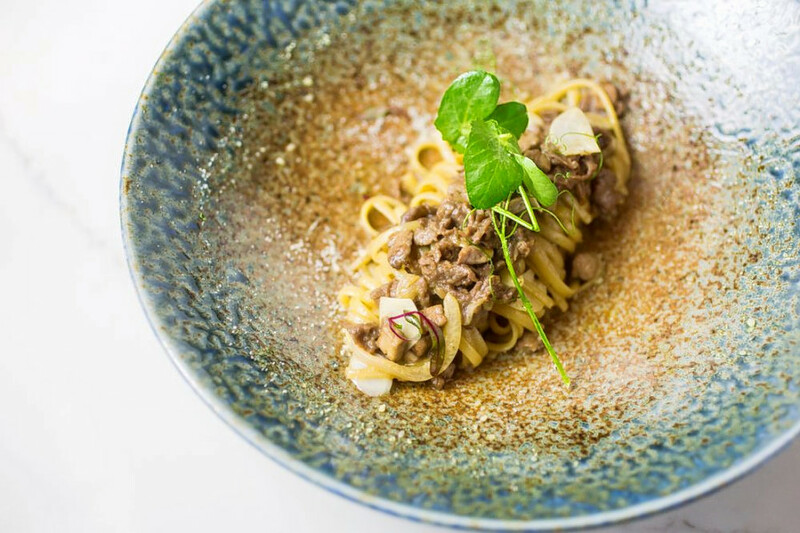 While restaurants categorized as "Japanese" increased review counts by a median of 3.4 percent over the past month, Nonono saw a bump of 82.7 percent -- and kept its rating consistently excellent at 4.5 stars. Open for business at 118 Madison Ave. (between 30th and 31st streets) since early June, the project of chef Daichi Tokuda and owner Kihyun Lee offers fare like a cream curry udon with whipped potato, plus sushi options like trendy zuke maguro (marinated, seared, and dipped in a spicy sauce). A third Japanese spot is dominating the "Noodles" category on Yelp. Citywide, noodle joints saw review counts increase by a median of 2.9 percent over the past month, but Tsurutontan saw a 78.9 percent increase, maintaining a solid four-star rating throughout. Udon itself seems to be trending in the New York City noodle world: Raku, another udon spot, has seen a 69.7 percent increase in reviews. Located at 64 W. 48th St. (between Sixth Avenue and Rockefeller Plaza) in Midtown, Tsurutontan offers a sukiyaki (Japanese beef stew) style udon, a veggie tempura udon, and a duck udon, as well as limited sushi, sashimi and donburi (rice bowl) options.